Note: This novel was WINNER of the Pulitzer Prize for Fiction in 2010, in addition to being WINNER of the National Book Critics Circle Award, the LA Times Book Prize, and the Salon Book Award. “A dog barking hoarsely. The lowing of trucks over bridges. The velvety night in his ears. And the hum, always that hum, which maybe wasn’t an echo after all, but the sound of time passing. And the book is truly funny and original and brilliant. 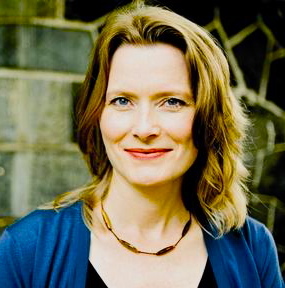 Lovers of experimental writing will find Jennifer Egan’s approach to story telling, including seventy-five pages of PowerPoint presentations about life in the 2020s, to be unique, and for that alone, the book would be captivating. Fortunately, she also manages to create several fascinating characters who echo and re-echo throughout the short-story-like chapters, even when the narrators change constantly. 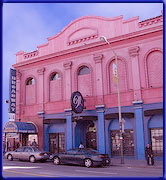 As the chapters and the ensuing action introduce many more characters in many different locations, including the Mabuhay Gardens nightclub in San Francisco, where Dirk Dirksen, the real nightclub manager known as “the Pope of Punk,” calls Bennie regarding hiring the Flaming Dildoes, of which reclusive Scotty Hausmann is also a member and composer; Africa on safari, where Rolph and Charlene are accompanying their father, music producer Lou, who is now running safaris; Naples, to which Sasha has run away at age seventeen, and where her academic uncle Ted Hollander searches for her two years later; and finally the desert in the southwest in 202_, where the children of some of these characters are talking about their parents’ growing-up years and their music. Seventy-five pages of PowerPoint presentations, appropriate for the period and taking place in the future, add contemporary identification with the stories of these characters. The more time passes, the more obvious it becomes that regardless of the times and the ways in which young people rebel, that rebellion is a fact of life. 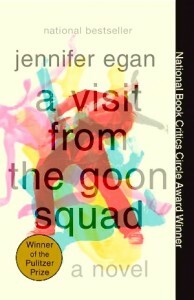 The “novel,” often akin to a collection of short stories, is original and intriguing, its focus on the specific and unique, sometimes at the expense of the universal, but Jennifer Egan holds it all together and keeps her reader engaged with a series of characters who are different from the norm and committed to goals we can all understand. Ultimately, the “goon” of time and the characters’ desire to be creative within it coalesce, and “th stRs u cant c” continue to inspire succeeding generations. The most difficult aspect of this book is the constant change of point of view and change of time as the chapters unfold. It is sometimes difficult to figure out who is speaking, where the action is taking place, and whether the character who is the speaker at any time is one whom the reader has seen before. The interrelationships among them can become complex, but as a rule, they help to bridge the action between what has happened in the past and what is happening at the time of the new chapter. If anything, there are too many characters of too little importance, thematically, but as the conclusion connects all the past to the future, ten years from now, the author makes her points vividly. The final scenes reinforce the author’s positions regarding the fate of the characters and the business to which they have devoted their lives. The passage of time comes into play once again, giving new insights into what happened in the past as seen from the “present” and the future at a concert starring a reclusive star from the past. 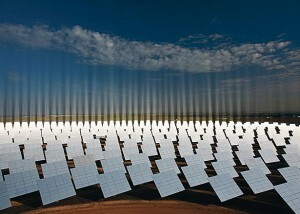 Unique and intriguing.